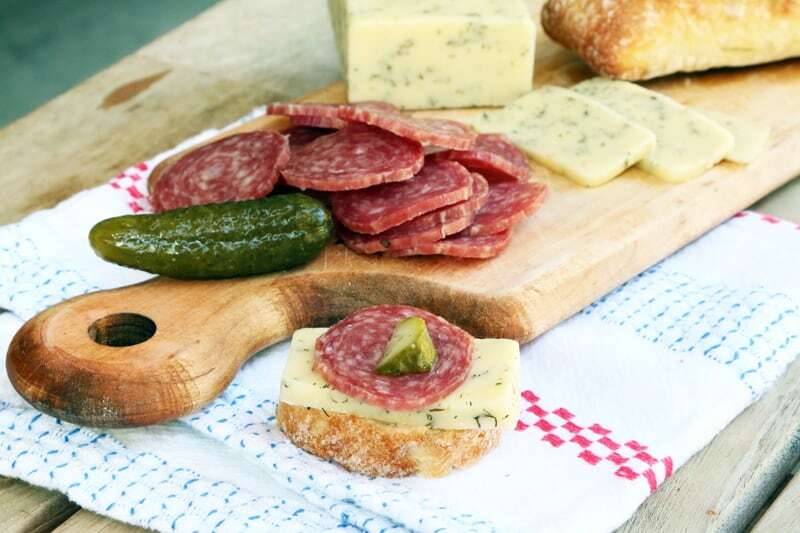 Nothing says “Fall” in our house like a cutting board piled high with savory wedges of cheese, melt-in-your-mouth fresh bread, and robust piles of fruits, herbs, fine meats, preserves and pickles. Do we have your attention yet? 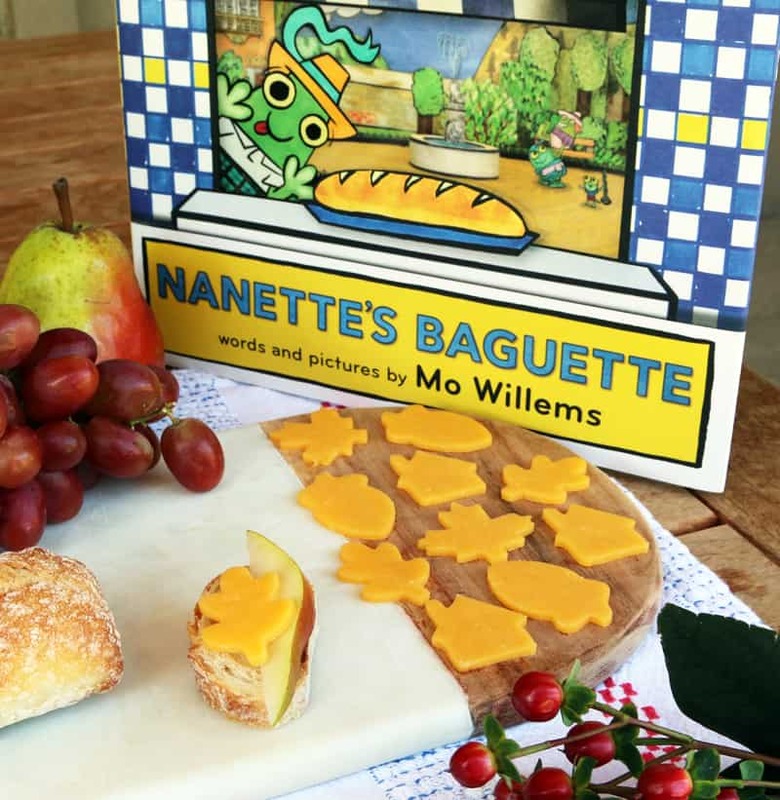 When our friends at Disney Books asked us to come up with a fun way to share Mo Willem’s new book, Nanette’s Baguette, which is in stores today (October 25th), I knew that it had to involve my families famous cheese plates. Nanette can’t resist cracking into a fresh loaf of bread from the bakery before it even makes it home and we can totally relate. 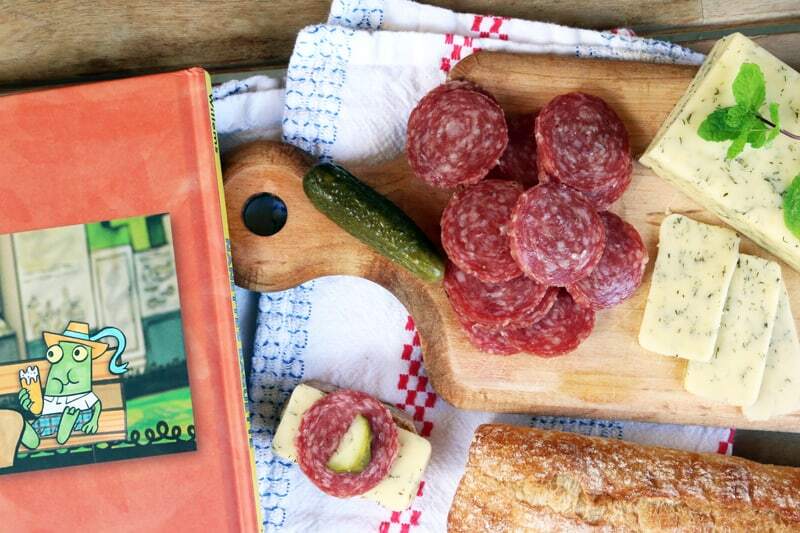 Fresh bread is our weakness too, especially when it’s surrounded by friends, family, and all of the fixin’s. Here are four combos that have been big hits this Fall, especially with the kiddos. 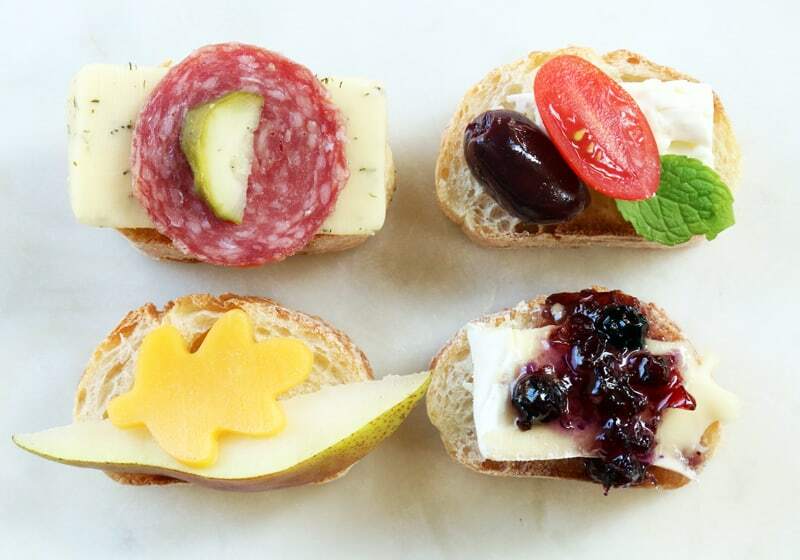 If you are looking for a quick meal, party nosh, or even a midnight snack, try one of our favorites cheesy themes. 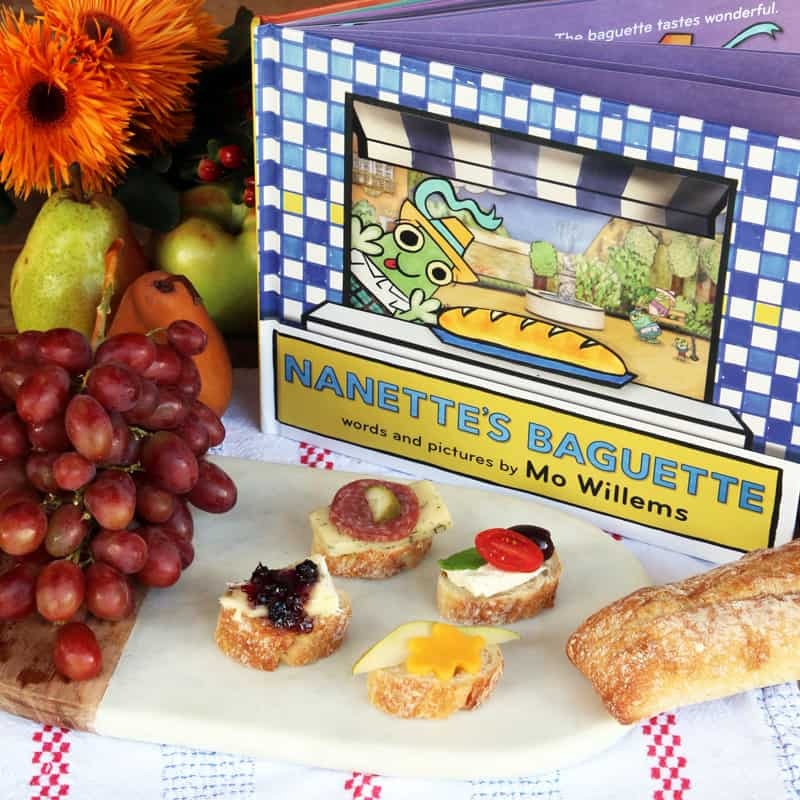 But first take a look at the trailer for Nanette’s Baguette by Mo Willems. 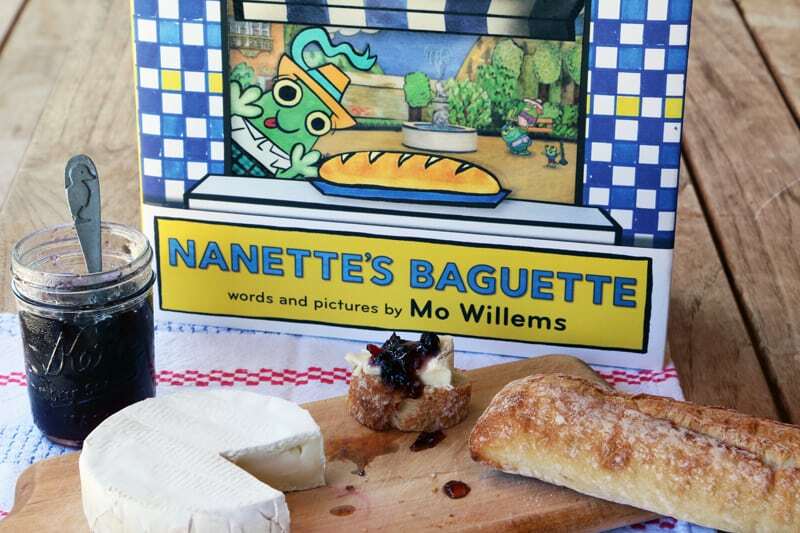 It’s the story Nanette on her first big solo trip to the bakery. But . 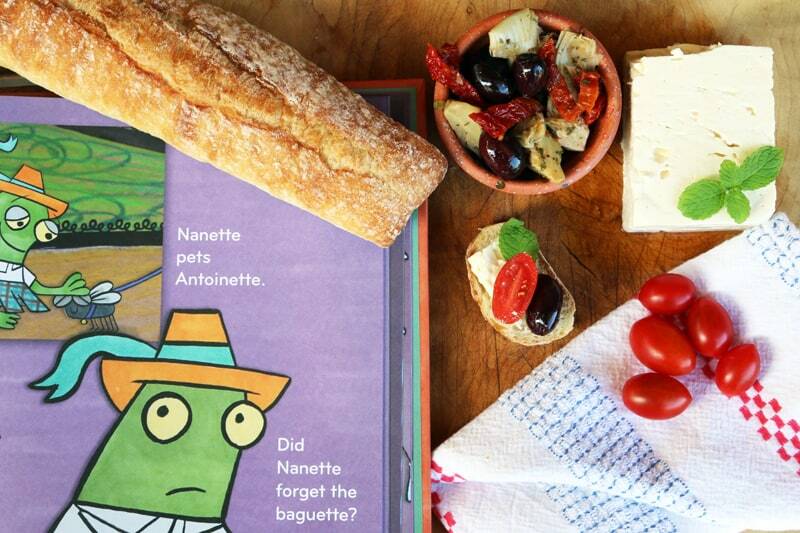 . . will Nanette get the baguette from baker Juliette? Or will Nanette soon be beset with regret? 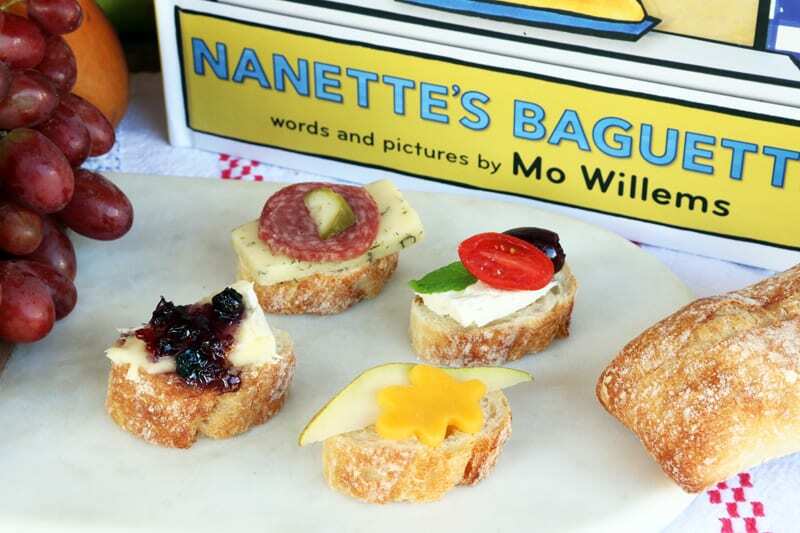 Set in a meticulously handcrafted-paper-modeled French village, the uniquely vibrant laugh-out-loud world of Nanette’s Baguette may be Mo’s best creation yet. Get set to krack into an irresistible tale you won’t soon forget! 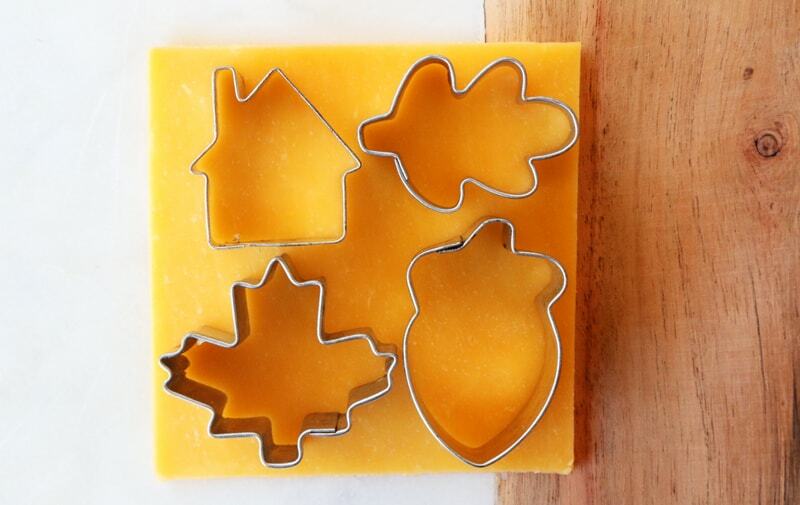 Pull out your cookie cutters and press shapes from thick slices of sharp cheddar. The kids will love to help. 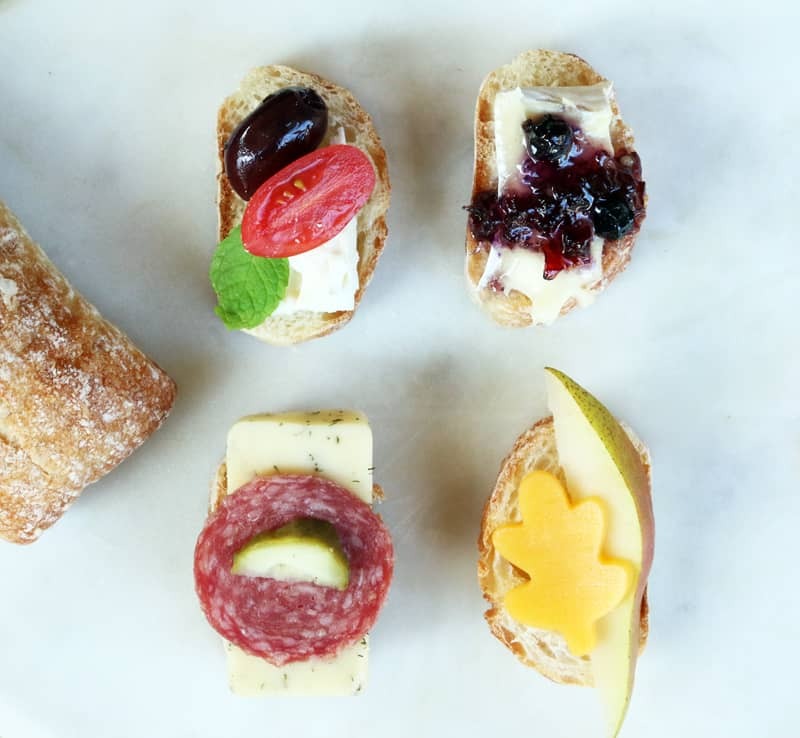 Serve with fresh fruit like pears and apples, and a fresh baguette of course. Next, serve up arguably the most delicious bread and cheese combination, Brie and Jam. If your family likes a little kick, try something spicy like this Blueberry Pineapple Habañero Jam that my Sister-in-Law found for me at a farmer’s market. 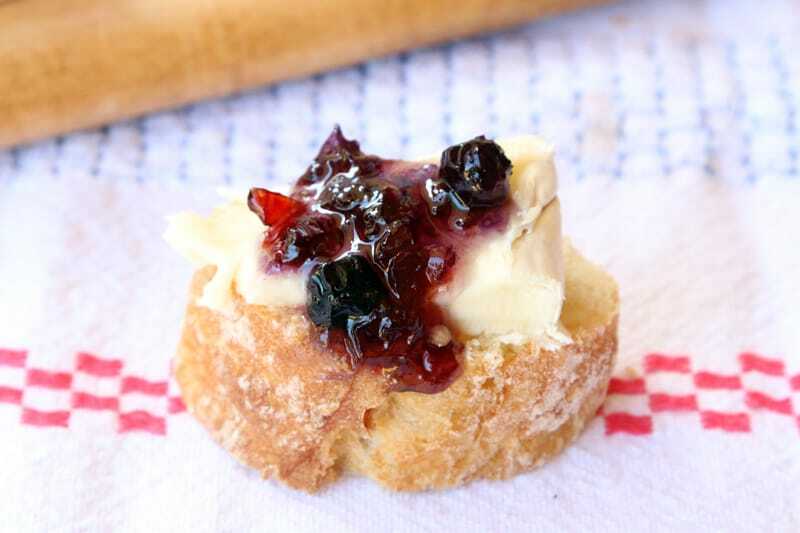 Any spicy/sweet combo is perfect with Brie but sweet fruit jelly is delicious too. 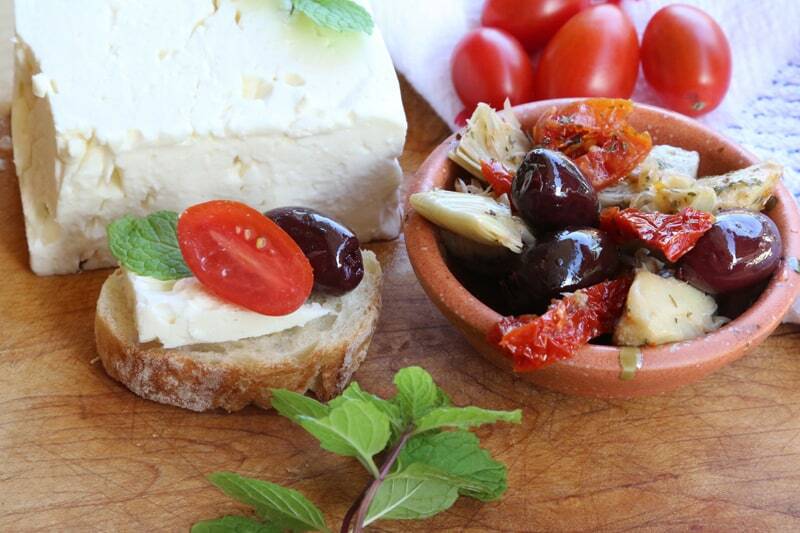 And lastly, turn to a mini Greek feast. All three kids in my house love Mediterranean flavors like feta cheese with tomatoes. It’s a great way to introduce them to new flavors like olives and marinated vegetables. 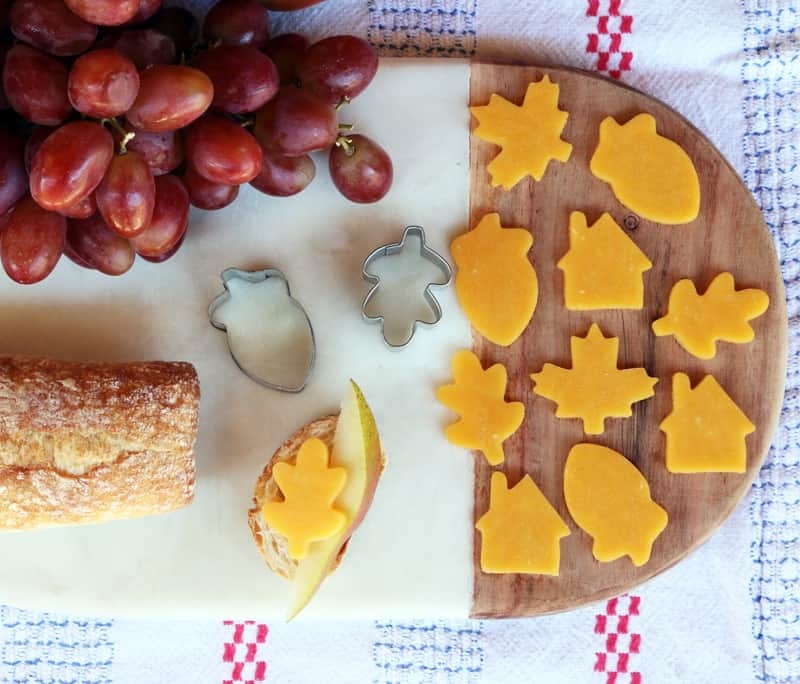 Our kids don’t always get healthy homemade snacks but we love how easy it is to whip up one of these wholesome snacks rather than head for the processed crackers and chips. Healthy and delicious doesn’t have to be hard, and it feels great to sit back for a few minutes and share something tasty. Thank you to our sponsor Disney Books.